Here are four attractions that we think are more than must do's. They are the ULTIMATE must-do's -- the ones that your kids have every right to never ever forgive you for skipping. 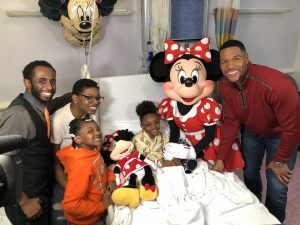 This past week Lexi, an 8-year-old kidney transplant patient, was visited by Good Morning America's Michael Strahan -- and treated to quite a surprise! Read this inspiring story here. Mark A. Wallace, President and CEO of Texas Children’s Hospital (left) and Disney Chairman and CEO Robert A. Iger (right) were joined by Mickey Mouse and hospital patients at an event taking place this morning at Texas Children’s Hospital. Robert A. Iger, Chairman and Chief Executive Officer, The Walt Disney Company, today announced an innovative … Continue reading "The Walt Disney Company Commits More Than $100 Million to Bring Comfort to Children and Their Families in Hospitals"
Disney Cruise Line currently has a fleet of four ships: Wonder, Dream, Magic, and Fantasy. Sailings depart from Los Angeles, CA, Galveston, TX, Miami, FL, Port Canaveral, FL, Vancouver, British Columbia, and Barcelona, Spain. Cruises are designed to entertain every age group, singles, couples, and families alike. 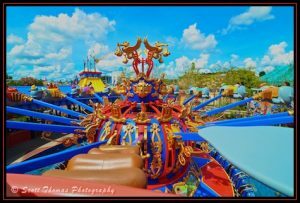 Broadway-quality shows, comedians, games, lounges, and athletic activities … Continue reading "Disney Pic of the Week – Disney Cruise Line"
The Magic Kingdom is bursting at the seams with expansions to Fantasyland including a section deemed Storybook Circus. Here you’ll find not 1 but 2 Dumbo the Flying Elephant rides with a big top tent filled with activities to keep you busy while you wait to soar. Casey Jr. Splash ‘N’ Soak Station is where … Continue reading "Disney Pic of the Week – Storybook Circus"
When Lisa first proposed doing an end of year Top 10 list on what each of us liked to photograph at a Disney resort, I was worried I could not come up with one. Turns out I could have done a few Top 10 lists but I’ll start with this one. To be honest, except … Continue reading "Scott’s Disney Photography Top 10"
Copyright Â© 2008 Barrie Brewer, Nikon D300, 18-200VR, 1/50s shutter, f4.5, ISO 400 This is Isabel Moskov pointing out a fish to her little brother, Charlie, on their very first trip to Walt Disney World. I snapped this photo in Disney’s Animal Kingdom this past September. I think the best photos of children are often … Continue reading "Look at That One!" Kids at a Disney park. Brings smiles to our faces, doesn’t it? Whether you have them or not, kids show the pure Disney spirit in their faces when they feel the magic of walking down Main Street USA with Cinderella’s Castle and Fantasyland awaiting them. My daughters grew up at Walt Disney World and when … Continue reading "Disney Pic of the Week: Kids"